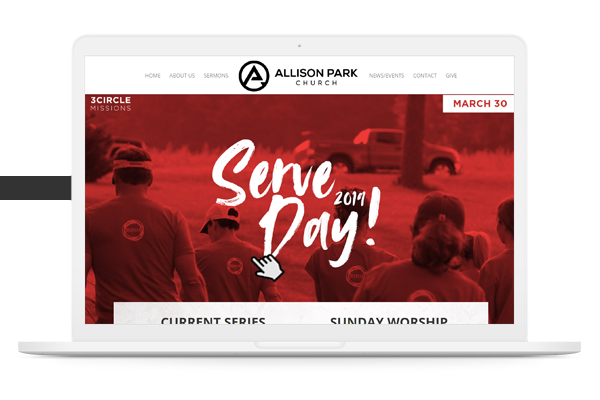 “Single Click” pushes to all your church communication platforms. 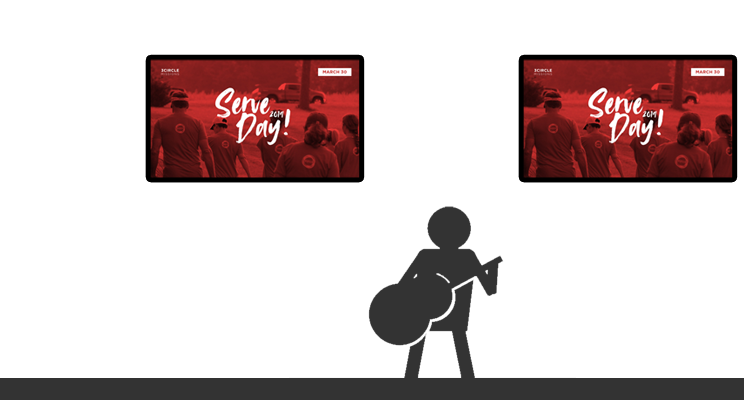 The announcement is now live on your church website! No need to update an app and a website. Do it all at once with a Single Click. Never manually build announcement slides again! Automatically update weekend worship announcements slides. Great for TV’s throughout your church too! Easily integrates with ProPresenter, Media Shout, Powerpoint, Smart TV’s or anything that can be connected to a computer. Stop wasting time updating all your social media platforms. 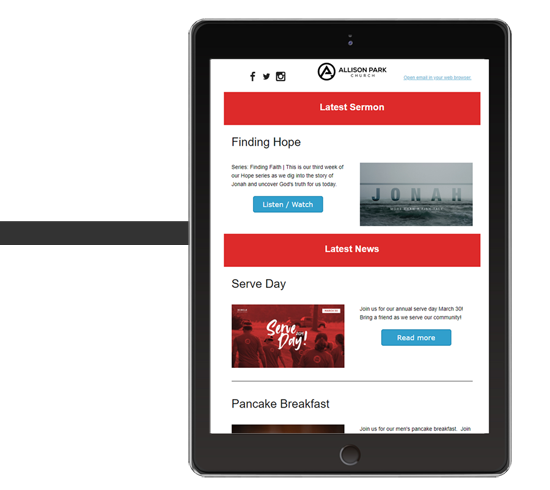 Your announcement is automatically added to next week’s church newsletter! You don’t even have to think about copying and pasting all your information again! 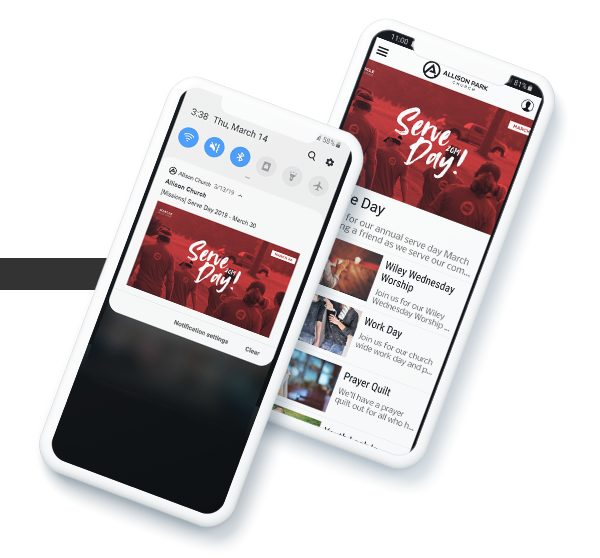 Let your Tent App do all the heavy lifting and create your weekly newsletter for you! Are you ready to streamline your church communications?